Some friends and family have been asking what it’s like to tell jokes in Taiwan. Here ya go! Fernando and I after the show. 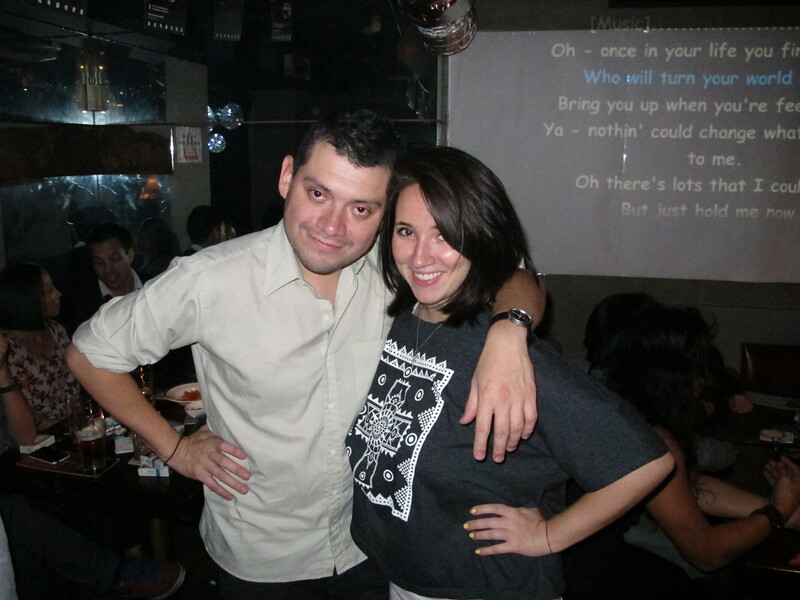 Settling our differences the Taiwanese way, in a Karaoke bar. Dont stop bloggin. i like your writing. more please. Funny stuff! Loved the closer and loved the story telling style you have. More stand up vids! “Michael, I’m not gonna be at work on Monday.” How apropos, now. Your stand-up’s solid. This is great, Marina – you’re so BRAVE!! 17 minutes on stage!! Awesome stuff. Are you having any shows in the future? I didn’t know you were the famous “11 million views Marina” btw I also work in Taipei for a US company during the night shift so I can relate to your pain 🙂 I do like my boss though. Sorry,I did not understand everything, but i find you charming and funny. And your video when you quit is great (with the music of Kanye west. (sorry, my english is not very good). I am French. Didn’t even know there were comedy routines talking about Taiwan. Nice.